Instructions: Combine berries, sugar and vinegar in a bowl and let stand at room temperature at least 30 minutes. 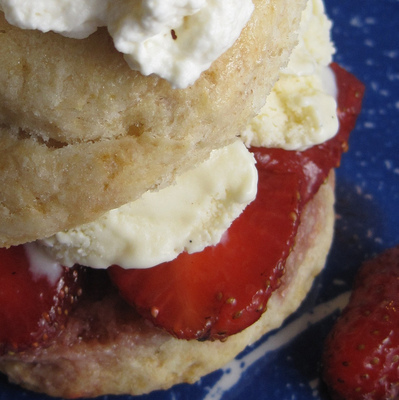 To make shortcakes: Beat 1/2 cup whipping cream with 1 teaspoon vanilla paste or extract until soft peaks form. Split biscuits in half and place bottom half on serving plate. Top with 1/2 cup of strawberries, including a good sized drizzle of the syrup that has formed in the bowl. Place top half of biscuit on top, add a generous spoonful of whipped cream and a few more berries on top for good measure. Enjoy!